Permanently removes stubborn odour causing molecules from the air, textiles or hard surfaces. Cleans tough stains and removes odours from water-safe textiles & hard surfaces. Eco-friendly enzymes digest organic debris and removes stain and odour causing molecules at the source. * Safe around pets and children, when used as directed. “Wow the products are amazing! I got one of the old stains out and it even smells fresh! Thanks so so much!” Thank you Natasha Van Rheede and Mischa for this gorgeous video review! Happy Pet Hygiene is strong enough to remove stubborn pet stains and odours, but gentle enough not to cause your pet to sneeze or otherwise show allergic reactions. We love them, but our cats and dog can be messy at times and have the occasional accident. 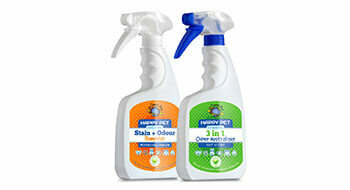 Quality and cost-effective pet stain and odour removal products is a must for every home. Pet parents realise how vital it is to have a cleaning product available that do not only remove stains and unpleasant odours but is also non-toxic and safe to use around fur kids and small children. You might have a new puppy that is being housetrained, caring form an older pet with limited mobility or a multi-pet household where marking occurs occasionally – a quality cost effective cleaner is a must. The Happy Pet Hygiene range of stain and odour removal products, from Cosmic Pets, is an effective enzymatic cleaner and pet odour neutraliser available in South Africa and Namibia. Happy Pet Hygiene Stain & Odour Remover contains biological enzyme bacteria which feed on the ammonia crystals found in organic stains and odours, including pet messes, and will eliminate even the toughest stains. You can clean tough stains from any water-safe textile & hard surface including carpets, upholstery, laminate floor, mattresses and bedding – but when in doubt test on a small area prior to use. The biological, pet safe, non-irritating, eco-friendly microorganisms digest organic debris at the source and removes stains and odour-causing molecules from pet messes like urine, faeces, vomit, fats and grease. The enzymes continue to work long after application to discourage repeat marking, leaving a long-lasting fragrance. 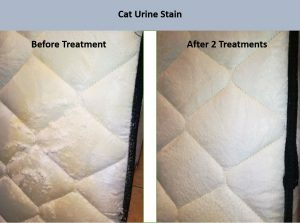 Safe for the removal of organic & urine stains on carpets, laminate flooring, mattresses or any other water safe textiles or hard surface. Clear excess solid and liquid waste. Dampen the area with warm water using a colour-fast sponge or cloth. Saturate the soiled area with Happy Pet Hygiene Stain and Odour Remover and leave to dry. This product is safe on most textiles however, if in doubt test on a small area prior to use. Do not use of leather or silk. Do not use with bleach, caustic / alkaline based products or disinfectants as they will affect its performance. This is an extremely versatile eco and pet friendly cleaning product and can safely be added to your washing or use as a nontoxic tile, floor and surface cleaner. This enzyme deodorizer works effectively to remove odour caused by dog and cat urine and will remove stubborn odour-causing molecules in the air, textiles and fabrics. Ideal to use on carpets, upholstery, curtains, bedding, kennels, clothes and car interiors to quickly deal with unpleasant pet smells. The biological, eco-friendly non-irritating spray removes odour-causing molecules, leaving a refreshing aroma. Apply directly to source of malodorous and repeat until neutralised. To freshen fabrics, spray liberally on affected area. To freshen air: use the spray function, direct away from the body towards the centre of the room. This product is pet safe and non-toxic. 3-IN-1 Odour Neutraliser can also be used as a pet friendly laundry detergent. Using an enzymatic pet odour neutraliser is a safe and effective way to remove pet odours from bedding, mattresses, carpets, upholstery and as an air freshener. 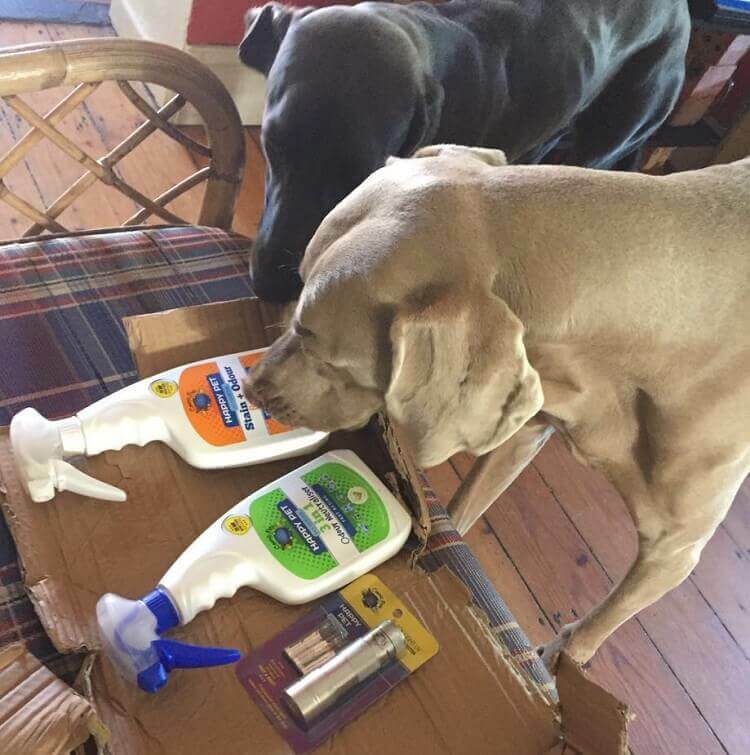 Products are non-toxic and non- irritating, however do not spray directly onto pets, water and food dishes. Avoid inhalation, ingestion and contact with eyes. Keep out of reach of children. Store in a cool place away from direct sunlight in the original container.